The shank's hexagonal shape provides maximum surface contact with a drill chuck, preventing the bit from slipping in the chuck and allowing high torque transmission. 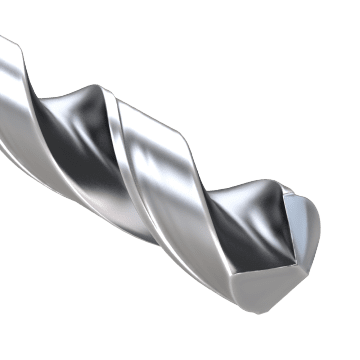 Drill bits with a hex shank can be inserted into a standard 3-jaw drill chuck or a drill chuck specifically designed for hex shanks. 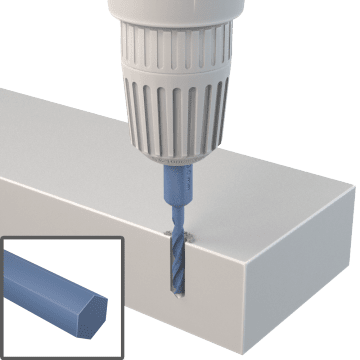 Designed for drilling into fiberglass or composite poles, cross arms, supports, and braces with a hollow center, these carbide tipped tools provide a strong, wear-resistant cutting edge. These bits are often used for dry drilling. 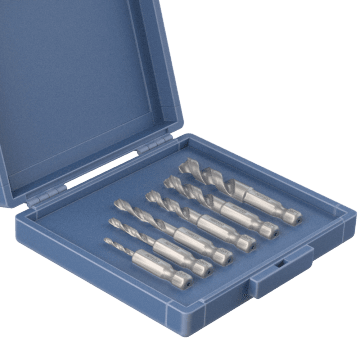 These sets contain hex-shank drill bits in a range of sizes for creating different-sized holes.